With Black Friday and the holiday season swiftly approaching, many parents are going to be in the market for their child’s first cell phone. In the U.S., iPhones and Androids dominate the current smartphone market, accounting for more than 99% of all devices. Choosing the right phone these days often comes down to preference and cost. 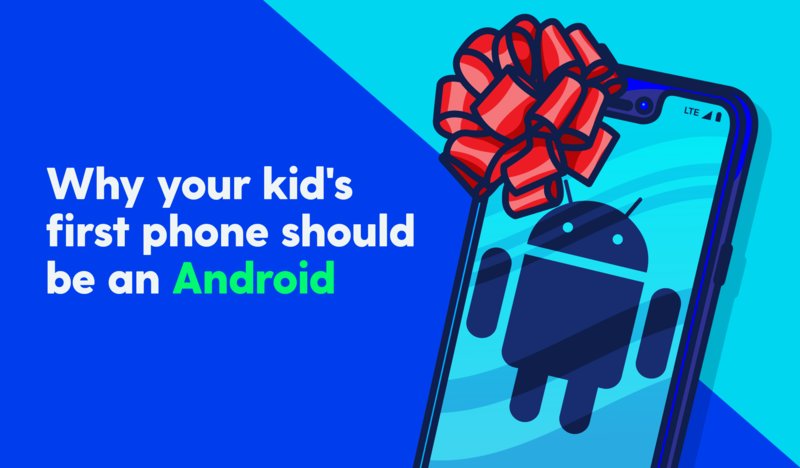 But when it comes to keeping your child safer online, Androids provide the better user experience and more comprehensive coverage for parents. While Bark can help keep your child safe with both platforms, in this article, we’ll tell you why Androids make monitoring a breeze. Apple is known for taking a more aggressive stance on application security than Android. While this isn’t a bad thing — no one wants to get hacked — it can hinder legitimate, potentially lifesaving apps like Bark from working quickly and easily. Conversely, Android’s open-source platform lends itself well to apps that monitor content, which is why Androids and Bark’s app work so well together. To get started with your Bark account on an Android, all your child has to do is download the app and start connecting their accounts. Bark monitors the phone 24/7, regardless of whether it’s connected to Wi-Fi. Because of this, we have a better possibility of picking up more secret activity like deleted messages. With an iPhone, on the other hand, monitoring is a bit more complicated, requiring program installation and daily phone backups. On Androids, Bark can more comprehensively monitor the popular trinity of teen and tween social media platforms — Snapchat, Instagram, and YouTube. For Snapchat on Android, this means we can monitor the text direct message (DM) capability that so often eludes parents. These DMs disappear on the phone itself, but not before being caught by Bark’s algorithm. With Instagram on Android, we can monitor the text DMs as well as photo DMs. YouTube also sees more expansive coverage with Android than with its iPhone counterpart. Bark monitors a child’s posted videos, comments, searches, and history/views, enabling parents to get a truly holistic view of what their kid is getting into on the video platform. No matter what phone you choose, you can be proactive about how your child uses it. Download a tech contract for you and your child to sign, and make sure to get started with Bark. Sign up today for your free, one-week trial.